Guild Tacoma Branch spotlights one employee every month to talk about their position, passions, and hobbies. 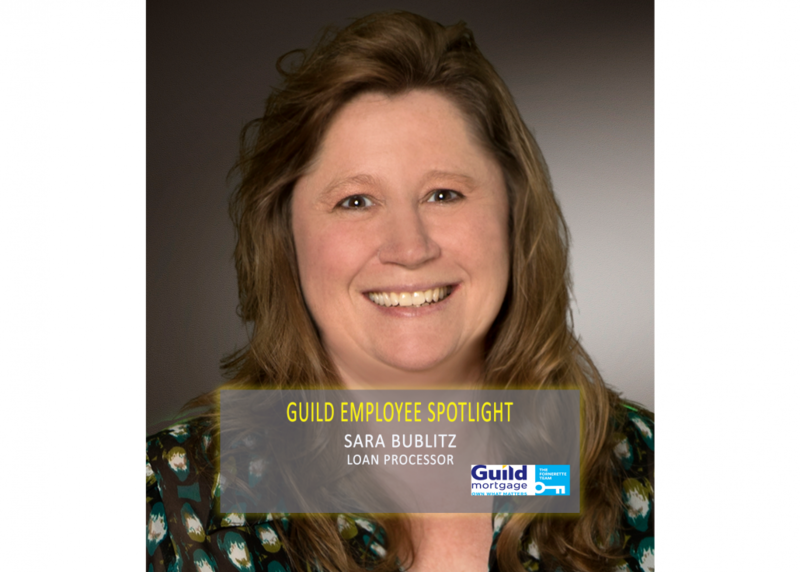 This month’s spotlight employee is Sara Bublitz. Interviewer: What is your position? Sara Bublitz: I am a loan processor on Keri Reyes’ team. I do work with loan officers: MK Bruce and John Cassels. I review new loans, look at conditions, and request any additional documentation from the borrowers needed before sending the file to underwriting. I work with a variety of first time home buyers, repeat buyers, and refinance clients. I: What advice would you give to a new client? SB: I would tell a new client to make sure to give the loan officer as much information as you can upfront. The more information you give, the faster the loan process will go. Of course our goal is to close on time for every loan, but it makes it difficult if we need to circle back with you multiple times for a new piece of documentation each time. Additionally, if we request a piece of documentation, it’s best if you can get it to us that day so the process can continue on its timeline. It’s important that you mention if you’ve switched jobs multiple times in the past year, since it can affect the documentation needed from you. I: What goals do you have for the upcoming 3-5 years? SB: A big goal of mine is to become debt free in the upcoming years. My husband and I are aggressively working toward this goal since we love to travel! We recently traveled to Hawaii, we have a Caribbean cruise scheduled for next April, and we are planning to go to England next Fall. In order to keep adventuring, it’s important that we are debt free. Additionally, we want to buy a home with a little more land for farming. I: Any last words about what it’s like working at Guild? 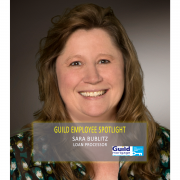 SB: I really enjoy working here at Guild Mortgage in Tacoma. I am constantly challenged but not overwhelmed. I am fortunate to be on a very cohesive team with a strong leader. Having a good team makes all the difference! We help each other out all the time, and Keri (our leader) is very knowledgeable and steps in if we need guidance. If someone else has worked through a similar situation, they have the process and procedures already in place so the current situation is diffused quickly!